Woke up by not only Violet shouting mummy mummy like she always does but by the rain to! it was a gorgeous 27c yesterday and today well what can i say i have to pull out the jumpers, wellies & raincoats! Heres what i made for breakfast to not only warm me up but fill me up till lunch time! 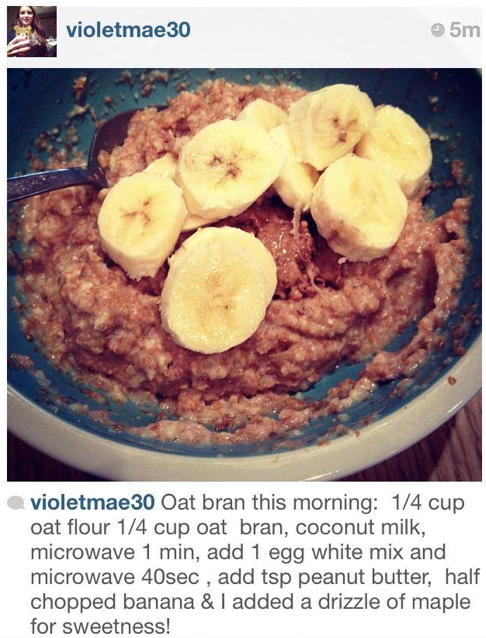 Oat Bran with peanut butter & banana.